Your continued support of Iraqi refugees is doing more than saving lives—it is transforming this region of the world with the hope of eternity. Nada and Marliene are two women whose lives have been forever impacted because you chose to reflect Christ’s love in the midst of this crisis. Recently, these women were able to share what the past two years have looked like through their eyes. Marliene gazed down at the floor as she searched for words to describe what she experienced the day ISIS forced her from her home. Nada looked straight ahead and forced a smile. Even still, the words were hard to find. Before ISIS arrived in their village, life was defined by steady rhythm and familiarity. As wives and mothers, they happily spent their days caring for their families. But within seconds, every trace of familiarity was ripped from their lives. ISIS soldiers violently invaded their homes and sent them trembling into the streets with nothing but the clothes on their back. It was a dark hour that is hard to reflect on now . . . but it was one that led to a faith much deeper than they imagined possible. Not long after arriving in the refugee camp, Nada and Marliene found themselves surrounded by a loving and caring community of Christ followers. They weren’t lost in a fight for survival among masses of refugees—they were part of a family. Through your compassion, thousands of refugees have received the physical, emotional, and spiritual support they needed to hope again. You have provided the resources necessary to build a supportive community that is nothing short of a miracle—right in the heart of one of the darkest communities in the world today. Receiving personal copies of God’s Word has given these women and their families a solid foundation on which to stand. “It means a lot to us because this is what we are living for . . . this is what makes us . . . this is our identity,” Nada said. Nada and Marliene have been believers for many years, but they never dreamed how much their faith would grow through the love and support you have provided. 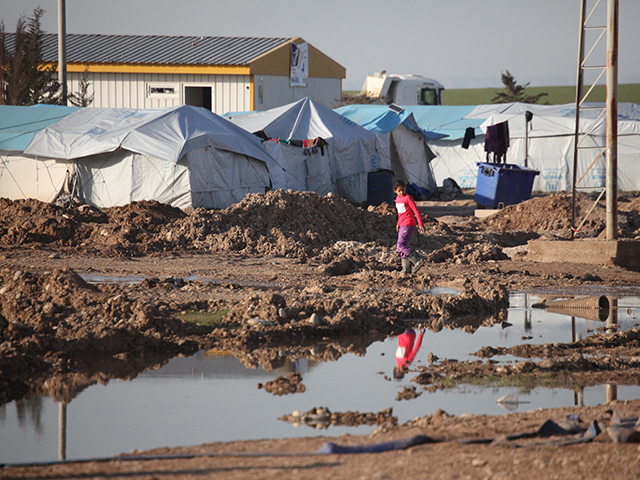 Your kindness is building God’s kingdom in the middle of war-torn Iraq. Nada and Marliene dream of returning home one day where they can rebuild their lives, families, and communities on this solid foundation of faith. Sadly, that dream is still far from reality. And while there is no end in sight to this crisis, your support is making hope possible. You can provide life-saving aid, trauma counseling and rehabilitation, educational support, and spiritual resources to one refugee family today for just $35. Thank you for your compassion and generosity—but most of all, for believing with us that as long as there is a God, there is hope . . . for every refugee.